The findings from an AA survey suggests that Irish motorists are more keen on safety features than autonomous cars. VEHICLES WITH NIGHT vision and pedestrian detection and the ability to shut down your car remotely are some of the features Irish drivers would like to see in their cars. A survey from the AA found that of the many developments that have been made or are in the works for vehicles, the vast majority (93%) would like to see night vision with pedestrian detection added to their cars. The technology doesn’t replace headlights but instead extends the driver’s seeing distance by using a thermographic camera. By placing a screen on the driver’s dashboard, it usually extends a driver’s vision by 300 metres and can be used to detect living objects. Other features that Irish drivers would like to see included automatic high-beam control (83%), normally switched when approaching a car or driving through well-lit areas, the ability to track your car’s location (78%) and to be able to shut-down a car remotely (74%). Other features that motorists would like to add to their cars included parental controls for both speed and radio volume (64%) and the ability to unlock your car with your fingerprint (56%). 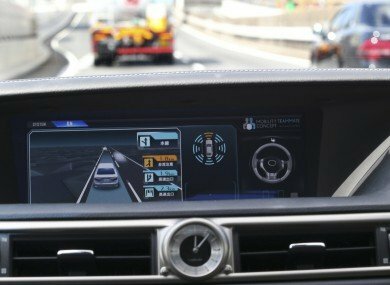 The response to autonomous or self-driving cars, which a number of companies like Google, BMW and Audi are currently working on, was less positive with 36% of people against the idea, compared to 26% who were for it. Autonomous parking received a better response with 47% of people liking the idea and only 21% against it. While much coverage has been provided on the subject, it will be a while before autonomous cars become commonplace. While progress is being made on tests in the US, the technology still needs improvement so it can deal with adverse weather conditions and unexpected obstacles and occurrences. The likes of Tesla have introduced self-driving modes in very limited circumstances like in traffic jams but still require the driver to be alert. As for technology that is already in the car, drivers are slow to embrace new features. While the likes of Bluetooth and handsfree calling is used daily by 44% of those surveyed, only 22% use cruise control daily while 18% use satellite navigation as frequently. Built-in WiFi was only used by 9% of people. The survey was based on an AA Membership poll during November 2015 where more than 4,500 responses were gathered.